Getty Images (Getty) and Agence France-Presse (AFP) have appealed a $1.2 million jury verdict in favor of photographer Daniel Morel, calling the verdict a “miscarriage of justice.” The jury determined that Getty and AFP had willfully infringed the copyrights of Morel by distributing his images without permission. Getty and AFP are asking the federal district court to either reduce the award or re-argue the case in front of a different jury. The feud between the media giants and the photographer began back in 2010. Morel’s images of the 2010 Haiti earthquake surfaced on the popular social media platform Twitter, but under the name Lisandro Suero, who had stolen the images off Morel’s Twitter account. An editor at AFP discovered the images and allegedly believed them to be for public distribution, and provided the images to Getty. The images were then widely disseminated to Getty’s various clients, including ABC, CNN, CBS, and the Washington Post. One particular image became very memorable and was used by numerous news publications. Morel brought suit for copyright infringement in the state of New York, and in January 2013 the district judge determined that Getty and AFP did in fact infringe Morel’s copyrights, but the question remained whether the infringement was willful. A jury trial was commenced to determine the question of willfulness. Getty and AFP argued that the use of Morel’s images was a result of an innocent mistake, and that the Twitter user who posted the photos without attribution bore responsibility for the error. However, during cross-examination, Morel’s attorney managed to get a key AFP employee to admit that because he was in a hurry to get the story published he had not followed company guidelines for obtaining news images from online sources. 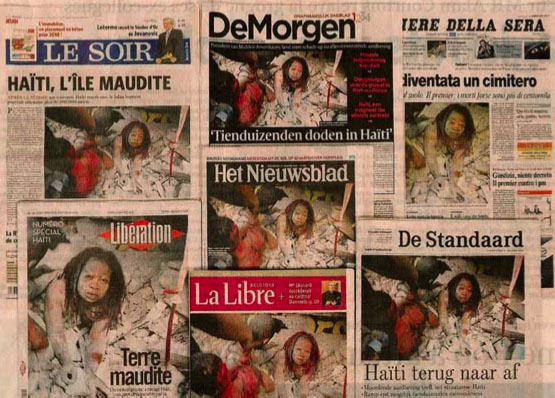 In addition, evidence through a series of emails showed that some employees of Getty knew that the images belonged to Morel, but continued to distribute the images under Suero’s name for more than two weeks after the Haiti earthquake. In light of this evidence, the jury handed down a decision in November 2013 in favor of Morel, concluding that Getty and AFP had willfully infringed on Morel’s copyright and awarded Morel with $1.2 million, the maximum statutory penalty available under the Copyright Act. Getty and AFP are now appealing the $1.2 million reward, arguing that “no reasonable jury could conclude either AFP or Getty acted willfully as defined under applicable law, based on the evidence in the record.” They are asking the court to vacate the decision in one of three ways: 1) declaring that the infringement was not “willful” thereby reducing the damages awarded; 2) grant a re-trial with a different jury; or 3) simply reduce the award to $200,000. They noted that the jury award was 4,700 times the day rate that professional photographers are paid on a freelance basis; by awarding Morel $1.2 million, the jury essentially made him the best paid news photographer on the planet. News agencies certainly have a high standard of care when it comes to making sure their content has been obtained legally. This case exemplifies the strict standard on news agencies. Because Getty and AFP did not do their homework properly, they are out $1.2 million (unless they win on appeal). This case is one of the first to address how images made available to the public through social media platforms can be used by third parties for commercial purposes. In the age of Twitter, Facebook, Instagram, Tumblr, and Pinterest, photographers have faced new dilemmas when it comes to protecting their work. Photographers need to market themselves on the Internet and show their work, but they risk having their images stolen by third parties. This case has huge implications for the future of news and photography. If the Morel verdict stands, it could encourage other photographers to play legal hardball with news agencies. The purpose of copyright law is to promote the progress of science and the arts, which includes breaking news stories that are of public interest to the people. If news agencies are stifled from delivering the latest breaking news because they fear legal consequences, this would hinder the public’s need for information. On the other hand, photographers need protection, or else they will be deterred from producing work. Copyright law aims to balance these two conflicting interests. With the increasing popularity of social media, copyright law is sure to undergo some significant changes in the coming years. 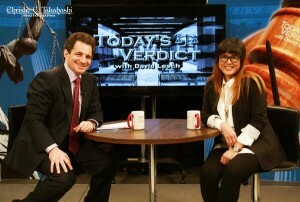 Cindy Trinh is an intellectual property attorney based in New York City and Contributor to CreativeArtsAdvocate.com. She is a Creative Relations Agent for the international company Production Paradise, the premiere international resource and online directory for the visual media industry specializing in commercial, advertising, and fashion. She connects the world's best photographers and filmmakers with agencies and magazines around the globe. Cindy is also an Assistant Manager to musician Earl Slick, the guitarist for rock legend David Bowie for the last 40 years. Slick has collaborated with John Lennon, Yoko Ono, The Ramones, The Rolling Stones, and Robert Smith, and was the guitarist for New York Dolls, to name just a few. Cindy is passionate about photography and is heavily involved in New York's art scene. She is the Social Media & Marketing Coordinator for The New York Photo Review, a publication of critical reviews and listings of fine art photography shows in New York. She curates content and photography for all the social media sites, writes about the latest developments in art and photography, and attends gallery openings and events to cultivate relationships with galleries and artists. I’m tending to side with the photographer, primarily because of the high standard of care you described. The state of the law now seems to encourage a balance so that both photographer and publisher are protected. It seems as though the publisher in this case failed to follow the law and standard industry practices.